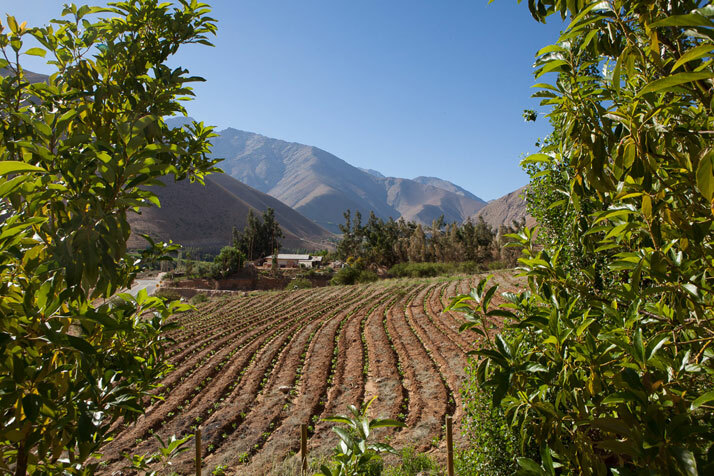 In the heart of the mythical Elqui Valley in Pisco, surrounded by the Andes Mountains, 500km north of Santiago in central Chile, lies a magical place that allows for star-spangled dreams beneath the clear pure sky. 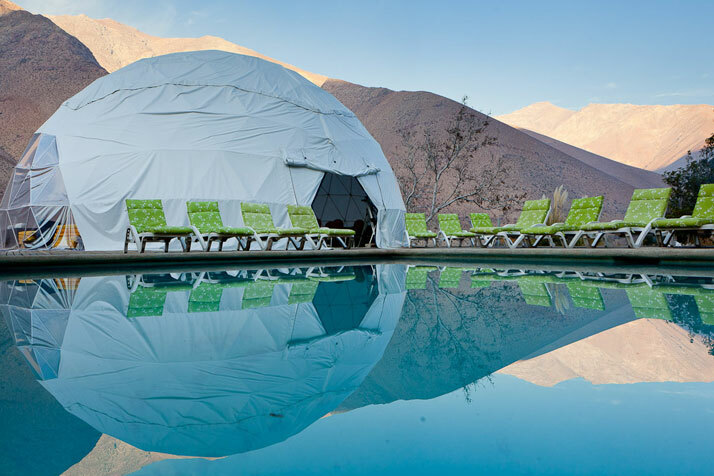 Combining stargazing and specialized astronomic tours with night-time horseback riding, meditation and even tarot readings, Elqui Domos is a hotel quite like no other. It was completed in 2005 to fulfil its owners’ desire to observe and enjoy the grandeur of the one of the world’s most star-filled skies. 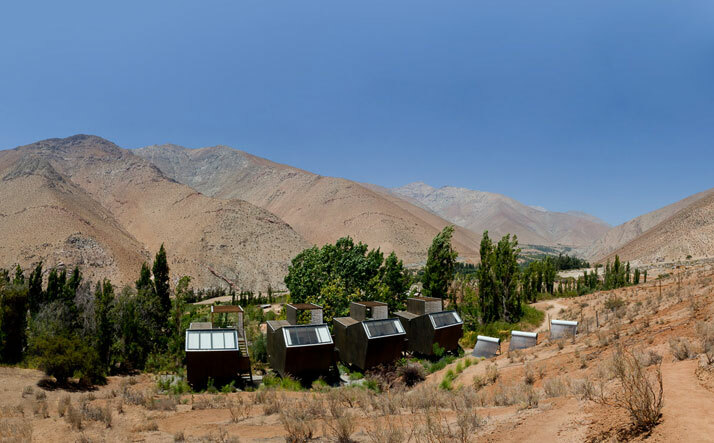 It is one of only seven astronomic hotels around the world and the only one in the Southern Hemisphere, offering breathtaking views of the magic skies draped over the Elqui Valley (the valley is renowned for its sharp, clear skies, as it happens to sit under one of the clearest atmospheres in the world). 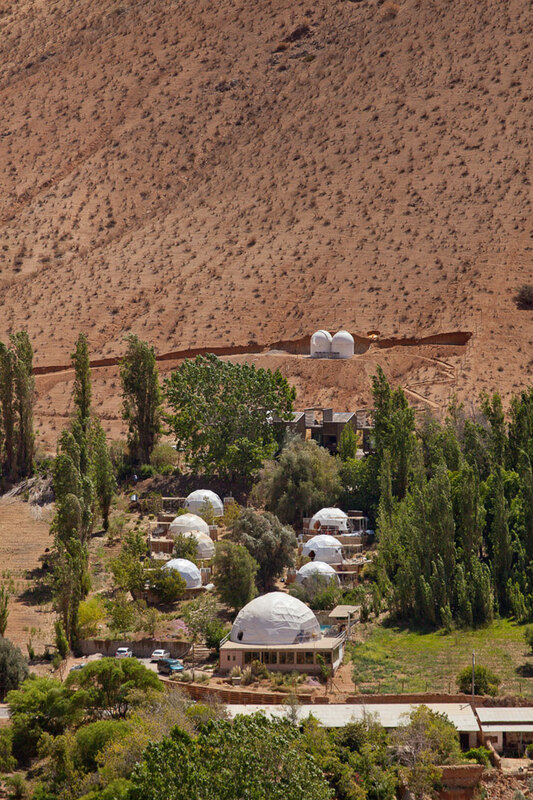 The lack of rain and pleasant weather all year round set the perfect conditions for astronomic tourism, where guests can gather to enjoy a unique chance to liaise with the stars. 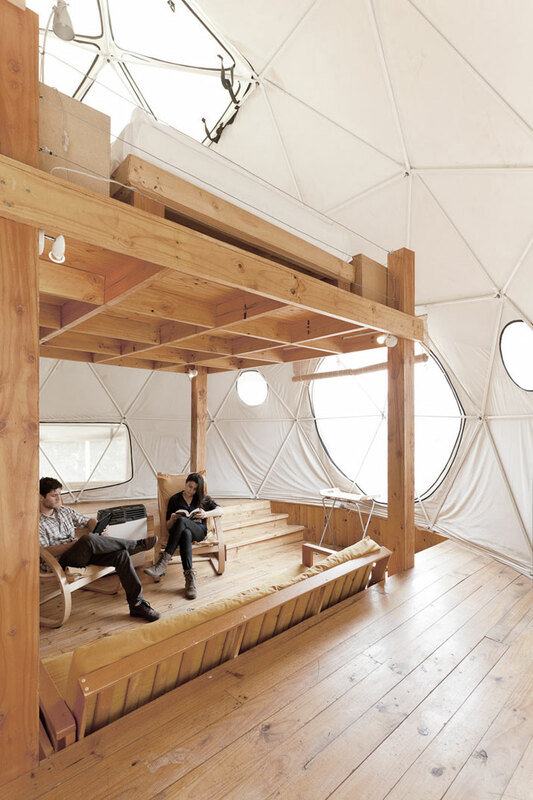 The unusual destination hotel comprises seven 4-person timber cabins in the form of PVC tent geodesic domes. 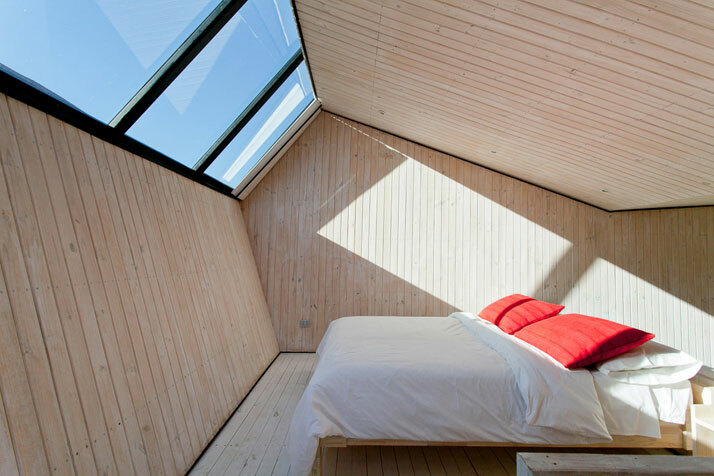 The idea was to create spaces that would introduce the infinity of the Chilean night sky into the rooms, encouraging an intimate connection between guests and the stars. With their two storey plans, the domes feature a living room and bathroom on the lower floor and a double bed on the upper floor complete with a detachable roof that can be opened up to watch the stars at leisure whilst lying in bed. Each dome also has an ample terrace and provides every conceivable comfort for stargazers to while away the hours looking at the blanket of stars above as well as specialized astronomic literature to keep them informed. 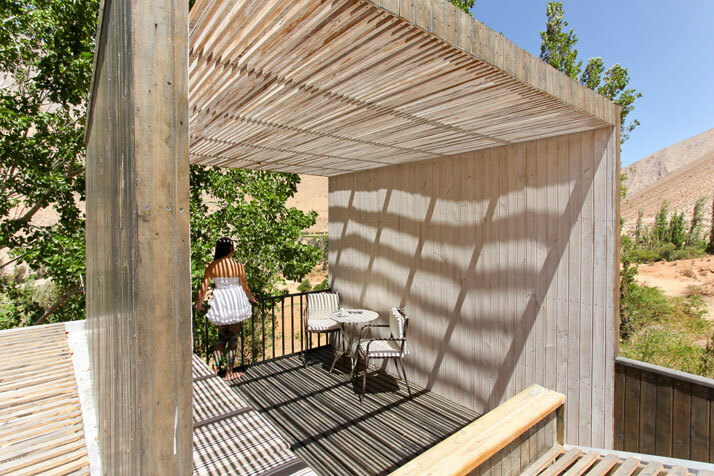 A new extension to the hotel saw the addition of four wooden ‘observatories’, whose architectural design is similar to that of the existing domes. 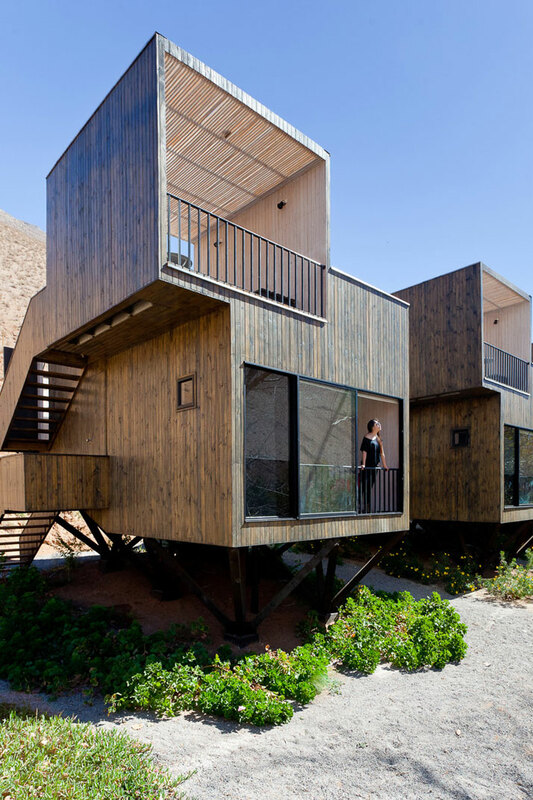 Designed by Santiago studio RDM Arquitectura, the observatories are located on the upper part of the hotel’s plot and feature three levels of living space. 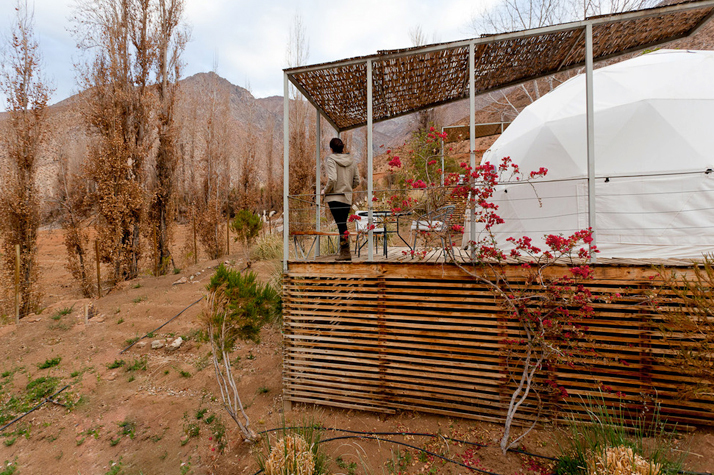 Features such as large angled skylights and rooftop viewing platforms, offer direct sightlines towards the Elqui Valley’s dramatic scenery. 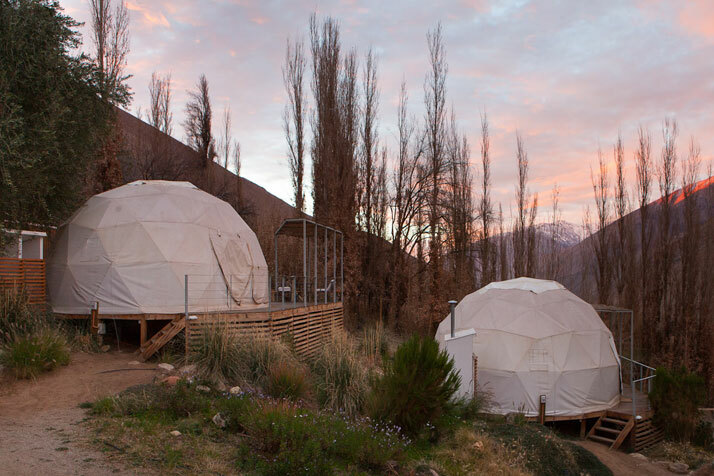 The mountains and the sky can therefore be seen from anywhere within the observatories, recreating the feeling of lying beneath the stars that the existing dome cabins themselves provide. However, what sets this place apart from the rest of alternative tourism destinations is the astronomic observatory built this year. This fully-equipped observatory consists of two motorized domes that house Schmidt-Cassegrain type telescopes with CGEM equatorial German frames providing guests with the opportunity to observe the moon, galaxies, nebula and all kinds of constellations just a few steps away from the comfort of their rooms. 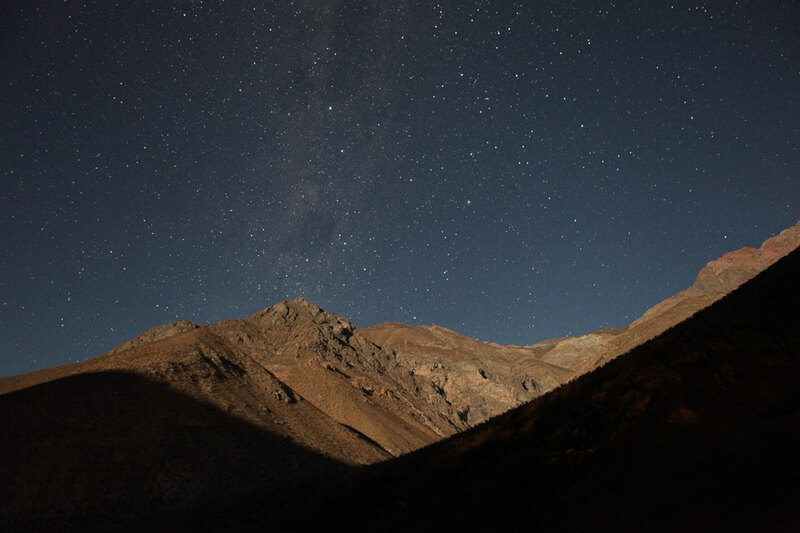 Elqui Domos recently commissioned American photographer James Florio to create a time-lapse and stop motion film project that documents the day and night-time scenes at the hotel. In what took over 6 months to complete using over 23,000 photos and 300GB of time-lapse footage, Florio designed, shot and edited a stop-frame film that beautifully captures the true essence of this unique hotel set against the backdrop of clear starry skies. 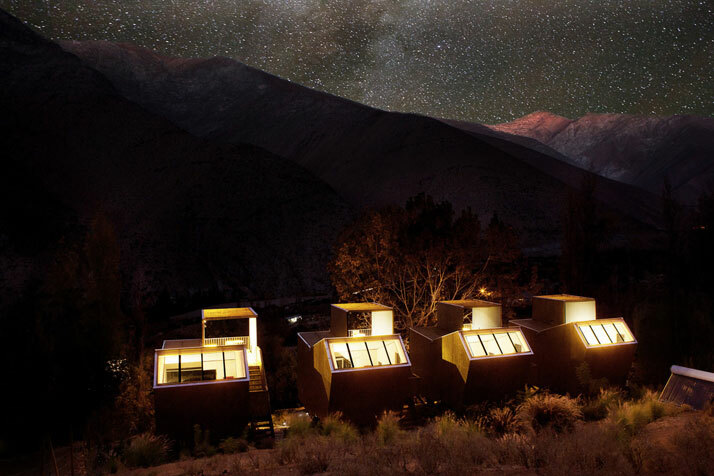 This hotel is without a doubt the perfect place to unwind and marvel at the glittery Chilean night sky. 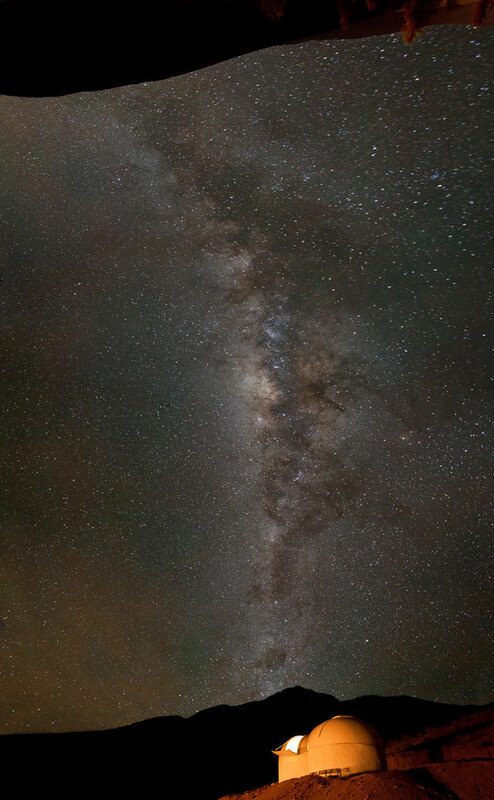 With a glass of Chile’s signature liquor ‘Pisco’ in hand; watching twinkling shooting stars fall through the skies, it invites you on a spiritual journey to reconnect with the cosmos.